Switzerland, or by email: [email protected] The International Labour Office welcomes such applications. rights’ organization in your country. authorities, or concerning the delimitation of its frontiers. Office of the opinions expressed in them. process is not a sign of disapproval. Welcome to the startUP&go programme! The startUP&go will take you on a journey over the next year through the world of entrepreneurship. prepared to become an entrepreneur in the future, should you wish to be one! 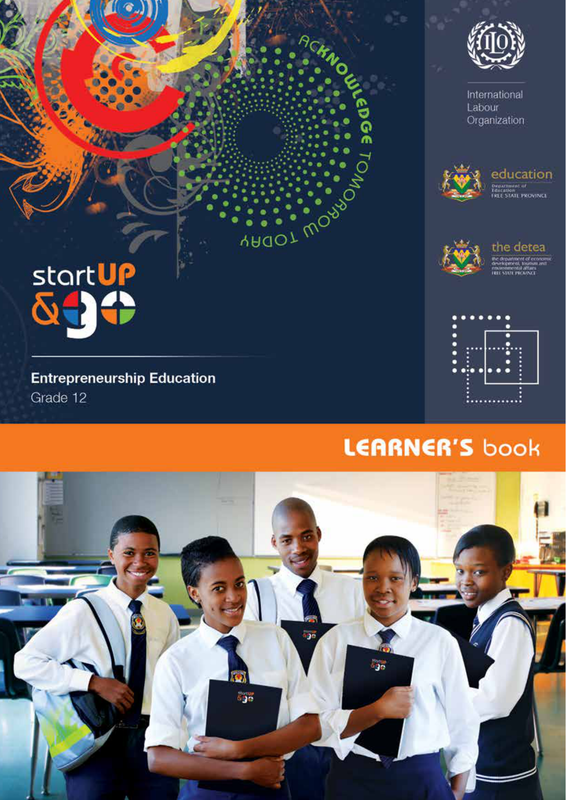 school, who have been selected to test the startUP&go programme during Grade 10,11 and 12.
your personal life, in your family and in your community. He applies and they phoned him back! He’s been invited for an interview! strategies and make recommendations as required. with the limited resources available to most entrepreneurs. macro business environment to bring that opportunity to the market place. and has to comply with. because non-compliance with these Acts is punishable by law. legislation as response to demands for redress and inequity. Which Act is applicable in the above scenario? business for the incident that took place? f)Mention two errors this micro lender has made. h)Name two rights for employees in this Act. i)Which Act stipulates that the business would receive a better rating if Jabulani gets the job? j)Name the seven elements included in a scorecard associated with this Act. l)What is an advantage of this Act? m)Which two Acts are most applicable in the above scenario? n)When is it illegal to strike? o)How much should they be paid for overtime or work on Sundays/Public holidays? STAGE 2: SHARING – HOW DID IT GO? 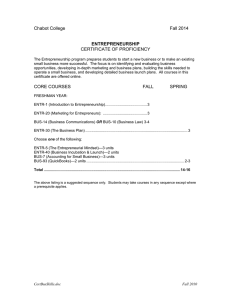 You have almost finished with school and may soon start working, or starting a small business. How do you feel about the Acts as an entrepreneur, or as a worker? How did the video make things clearer? they have achieved their initial purpose. employer could incorporate to prevent unreasonable discrimination. e) Name and explain any two elements of a BBBEE scorecard. a) Why do you think it is necessary for businesses to adhere to all these Acts? b) Do you think BBBEE is “reverse Apartheid?” Explain why/why not. this is the answer to the problems facing SMMEs (Small and Medium Enterprises)? Team B: It’s just another government department – nothing’s going to change. make notes to support your argument. - organising all the information you wrote down in a) into an argument. - A vote by a show of hands to see which side was the more convincing. compliance burden on small businesses. for small businesses to comply. the circumstances under which they operate. difficulty in doing business, and this includes improving access to finance and the markets,” she said. compete on the continent and across the world. action with respect to finance will hamper your entrepreneurial dream. managed, can assist in this problem. functions so that you can truly understand the value of each step in a “real-life situation”. short notes and try to create a rough mind-map of these roles and responsibilities. a) Why do you think the human resource function is important to the overall success of a business? maybe even a professor in Accounting! orders a cool drink and starts paging through the Jobs Vacant section. He cannot believe his luck. experiences and his high accounting marks will pull him through! What is the first thing Sipho has to do? What documents should he attach to the application? What should he do while waiting for a response from Qualitas Career Academy? Reading 2.2 (2): He applies and they phoned him back! is selected. Of course he’ll go for an interview … He puts the phone down and takes a deep breath! What should Sipho do now? How else should he prepare himself? Reading 2.2 (3): He’s been invited for an interview! again to say he is on “the short list” – he is one of two applicants who are being considered! The final interview goes very well – by now his confidence has grown, although he feels very young. and that they all say the same thing: Sipho worked hard, he is responsible, give him a chance! Sipho has got the job. What is the next discussion about? He arrives at work on the first day of the next month. What will happen today? people to fill this vacancy. What would the role of ABSA be as the interviewer? gain from an induction programme. based on her interview and on knowledge you have already acquired in Session 1.
a)How does big business recruit potential employees? Name the methods Mamoabi has listed. d)What is an employee contract? Describe in your own words. f)What is the difference between a salary and wages? after they have been placed in the advertised position. for a year or more? -What is her first step? What have you learned about the importance of the human resource function in a business? short notes that you could use in an essay if necessary. work for somebody else? Or are you ready to start up a small business? the strategy was successful or not. deal with the business problems presented in the game. solution may present a business opportunity. using a particular business strategy for a given scenario. 1.Divide into teams of 5 – 7. Each group chooses a team name. position in terms of speed. c)Score the team as your teacher gives the correct answers. d)Give feedback using the Observer’s Feedback form. - A sheet of flipchart paper, a koki pen and presstick. 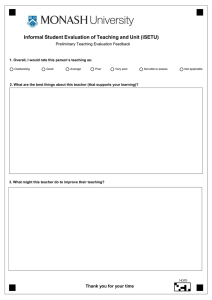 Your teacher will demonstrate a sample grid she has drawn up on a sheet of flipchart paper. Groups now draw the following grid (which your teacher has just demonstrated). next to the relevant scenario. is only one possible way to align all 36 cards correctly. a note of how long the team took to finish the game. observer stands at his/her group’s poster. 11.The teacher now reads out the correct alignment and the observer scores the group’s answers. cards must be correctly aligned for 1 point. notes recorded on the Observer Feedback form. 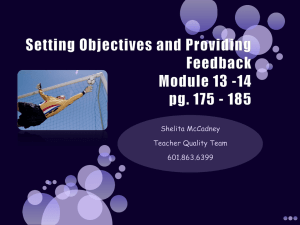 Your teacher leads the discussion and encourages contributions from both the observer and the class. of problem-solving skills in business and in life generally. How did your group perform during the game? - What obstacles did you encounter? a)Why is it important to know what strategies are available for businesses to pursue? your decision in the correct block. Give a reason for your decision in each case. -Why did the winning team do well? What was the reason for their success? -Why did the other teams not perform as well? What could they improve on? -What skills does a successful business need in times of crisis? -What behaviour could be considered negative in times of crisis? employee once you are operating in the “real world”? writing in your Informal Assessment Portfolio for homework. (Reactive). See Activity 3.4 above. use. The term is derived from the Greek word for generalship or leading an army. What is a strategy? Define the term in your own words. What is the difference between reactive and proactive strategies? Why is it interesting that the word originated from the Greek word for “Military General”? flipchart paper to present in the feedback session. poorer neighbourhoods, where electricity is scarce, to study at night time at no cost to their households. unprivileged children living in households without electricity to read, write, and study for up to 12 hours. confident that her project will raise interest outside South Africa in the future. “I am a struggling billionaire. I’m rich, but my bank just doesn’t know it yet,” she said. creative ideas and management practices in the Global South. a)Which definition of “strategy” does Thato illustrate? b)Clearly, Thato is a problem solver. What four problems in her community does she solve? struggling billionaire. I’m rich, but my bank account just doesn’t know it yet,” she said. - What entrepreneurial attitudes does Thato reveal in the quote? - Why do you think Thato’s attitude is part of her success story? elements of Total Quality Management (TQM). responding to general environmental and social issues that affect their businesses. great leader as well as a great manager. f) Production/Operations, g) Administration and IT and h) General Management. concept of corporate social responsibility encompasses this view. and drawbacks of corporate social responsibility for a business and a community. why CSR and CSI are important to the business and the community. 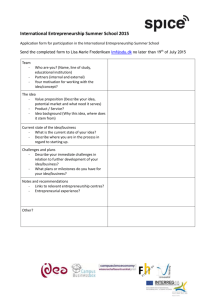 homework in writing in your Informal Assessment Portfolio. a) How are CSR and CSI implemented at Nedbank? b) Why is Nedbank involved in CSI? c) Discuss education as a strategic focus area in Nedbank’s CSI programme. d) Discuss health as a strategic focus area in Nedbank’s CSI programme. e) Discuss skills development as a strategic focus area in Nedbank’s CSI programme. f) Discuss community development as a strategic focus area in Nedbank’s CSI programme. g) Discuss staff voluntarism as a strategic focus area in Nedbank’s CSI programme. i) What is the difference between Marketing and CSI? prepare to give feedback after you have completed it. a)Name four types of socio-economic issues that CSI projects can address. a)Distinguish between corporate social investment and corporate social responsibility. b)Differentiate between benefits of CSR for businesses and for the community. e)How can a business’s social responsibility have a positive impact on the triple bottom line? Reading 1.5: Social or Business Entrepreneur? also important because they know that without money, their social contribution may not last. also take into account a positive return to society. Why do you think it is important for individuals and businesses to give back to the community? Can you make money as a “socially entrepreneurial” person? Explain how. What is the defining difference between a social entrepreneur and a business entrepreneur? Write a short reflection of whether or not you feel you are a social entrepreneur. Grade 12 a distinction between these two concepts will be made. You will play a game in which two different leadership styles will be experienced first-hand. Make notes on how your leader performs. the roles of leaders as opposed to followers and managers. leader and the group’s behaviour. leaders have already been selected by your teacher. there are now teams of 6 learners. Observer(s) stand behind each of the teams. the process. The role he/she is assigned is captured on the card handed out prior to the game. criteria on the Observer Feedback Sheet below the reading. 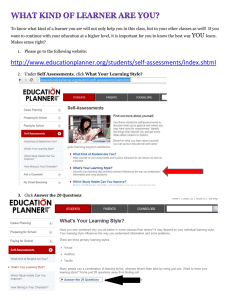 answering the questions below the activity in your Informal Assessment Portfolios. and the specific steps to solve the problem. 10.Observers come to the front of the class and stand in front of the blackboard or a flipchart. •They have to say what type of leadership style they observed. on the board by the teacher as the observers give feedback. of the city. The actual structure was built in less than two weeks. should be shared among the team members. receive instructions from the teacher. TIP: Separate each piece of the following information so that the information can be categorised. 1.Day four in the week is called Thursday. 2.Day five in the week is called Friday. Day six in the week is called Saturday. There are six days in the Mapungubwe week. The total working day has nine periods. The team rests for two periods during the working day. The team works for seven periods during the working day. Workers each lay 150 blocks per period. 10. One member of each team is a supervisor and does not lay blocks. 11. The basic measurement of time in Mapungubwe is a day. 12. A work day in Mapungubwe is divided into work periods and rest periods. 13. The height of the monument is one hundred meters. 14.The length of the monument is fifty meters. 15. The width of the monument is ten meters. 16. The monument is built of stone blocks. 17. Each block is one cubic meter. 18. Day one in the week is Monday. 19. Day two in the week is called Tuesday. 20. Day three in the week is called Wednesday. 21. One member of each team makes sure the bricks are the right size and does not lay blocks. 22. The government decreed that no work takes place on Friday. 23. Because of the religion no work takes place by the teams on Saturday. 24. The height of the monument is greater than its length or its width. 25. Only one team of workers at a time can work on the construction of the monument. 26. Length X width X height = area. What strategy did s/he use? What was the effect? Good? Read through these styles of leadership before moving to Activity 2.2.
palms to strengthen what you say, etc. group… Does anyone have anything to add? process of solving the problem, e.g. give them a turn to speak. answer the following questions in writing in the Informal Assessment Portfolios. Did you feel the role you played (as leader, observer, or team member) suited you? Explain why. If you would have preferred another role, explain which role and why. If you were a team member, how did you react to the leader’s approach? Do you think your leader was a good manager? In pairs, discuss the following orally and then complete in your Informal Assessment Portfolio. List three things that the leader did well. What could the leader have done to improve the team’s performance? Which leadership style do you think would have solved the problem most efficiently? Explain why. Did other natural leaders emerge within the team while the game was being played? Did somebody in the team try to manage the process? Who? Was it successful? You now have a fair idea of what leadership is. Go back to Reading 2.2 to refresh your memory. Define leadership and discuss five differences between leaders and managers. Some people can be leaders and managers. A leader carries out decisions. People follow a leader out of their own choice. A manager’s role could change to a leadership role. A manager focuses on systems and structures. excellence and punishes them if targets are not met. 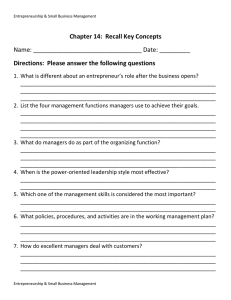 • Evaluate the impact of this leadership style on business operations. a)What have you learned about yourself that is a positive entrepreneurial step? I am _________, _________ and _________. b)What do you still need to learn to be successful after school? Explain your answer. functions as well as mentioning ways customers perceive quality. writing in their Informal Assessment Portfolios. Why is quality assurance and quality control important for a business? Why do businesses focus on total quality management? How does an organisational culture fit in with total quality management? reference to continuous skills development. Briefly state the benefits of implementing a good quality control system in a business. you would put into place to ensure your customers are always satisfied. School (education industry) and Anesti Restaurant (food industry). b)8ta, a South African cell-phone brand, has decided to enter the cell-phone market in Indonesia. c)Giovanni’s Pizza has decided to purchase Cheddar Chaps, a well-established cheese factory. have decided to sell shares in the business to a local investor. Twitter to market their products in order to increase their market presence dramatically. coffee shops at the Hotel group sites. drinks and pancakes as well. facing both the local community and the company. Use examples to motivate your answer. The following statements represent a certain leadership style. Identify the different leadership styles. This leader considers the needs and input of followers and encourages group involvement. This leadership style relies on organisational rules and policies. is a critical part of becoming a business owner. done earlier in the year. confidence and flair in presentations. to the success or failure of a business, and how this selection impacts business operations. Identify the form of ownership applicable here. Name one advantage of this business. What is a disadvantage of this form of ownership? What is implied by the business having “unlimited continuity”? Name two requirements of this form of ownership. Name three legal structures commonly used by these types of businesses. “mark” the poster. The group representative is there to answer questions. Which group presented the best summary of the information on the video? Why was it so clear and well-organised? 1. Distinguish between limited liability and unlimited liability. entity would you register it under, and why? supporting materials to ensure professionalism. b) Is it difficult to make a good presentation? when you prepare a presentation? d) How did Tumi structure the information in the presentation of her business plan? e) Did Tumi use any support materials? Explain which and why they were appropriate. f) How important is body language when you make a presentation? g) How should a presenter dress for the occasion? h) How should one deal with questions asked at the end of your presentation? i) What should you do if you are not able to answer a question? j) How do you handle a hostile audience? scenario. Why is your choice appropriate? Why is this choice appropriate? investors in two days’ time. and a successful presentation which meets its objectives. How should Lebo prepare for the presentation? Evaluate any FOUR methods that she can use to present the information. Propose ways to handle hostile feedback in a professional manner. Recommend possible focus areas that will improve the quality of Lebo’s presentation. b) Production figures for 2013 and 2014 on a histogram. c) A short video explaining the steps to complete an application form. d) Drawings and pictures in the user manual of a fax machine. e) A flow chart explaining the steps in the production process. important to have good presentation skills? management, leadership styles and the three economic sectors. as well as an understanding of the challenges and control factors in each business environment. •Divide yourselves into groups according to your teacher’s instructions. shortage in the supply of envelopes is being experienced in the market environment. companies in need of envelopes. •Each group starts with R300 in their bank account. of scissors costs R30 and a Pritt glue stick costs R50. process. Each sheet of A4 paper costs R40. with the material they have bought. the manufactured envelopes to either of the two buyers. during the game to achieve the most profit by the end of the game. •Divide yourselves into groups of 5 to 7 members each. •Go through the above instructions to understand the game and clarify any questions. game with these questions in mind. enough money to purchase envelopes from the groups. responsible for selling the envelopes to the buyers. from the supplier of raw materials. •Groups have only 30 minutes to produce and sell their envelopes. 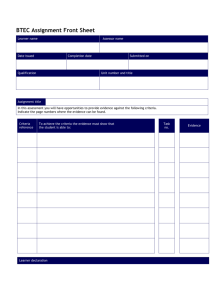 •During the game, record your purchases on the record form below. •Groups start manufacturing envelopes, selling their stock, buying more raw materials, etc. and negotiate the best selling price possible. for the production of more envelopes. Ability to work in a team as a business? Mention three typical types of conflict that did arise/could have arisen in your envelope business. How could difficult people in the group be dealt with in the game? c) Describe the leadership style which was apparent in your envelope business. Was this effective? If not, which style would have been more effective? b) Which business environment will be affected by an increase in inflation? c) Describe the impact of an increase of inflation on your envelope business. 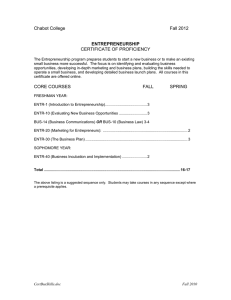 d) Conduct a SWOT analysis of your envelope business (mention two examples of each component). 1. In which sector of the economy would you categorise the following businesses? 2. Briefly state the benefits of implementing a good quality control system in a business. attention to the three economic sectors? employers and their organisations is regulated. engage in ____________. 4. The ability to think creatively is also known as ____________ thinking. 5. The ____________ regulates the South African credit industry. environment is known as ____________. 10. If BMW decides to buy over Mercedes, they are making use of ___________integration. 11. The letter W in the acronym SWOT stands for internal ____________ in the business. 12. ____________ is one of the reasons an employment contract can be terminated. 14. Tax evasion is an example of ____________ behaviour. compensated is known as the ____________. 16. A ____________ benefit is a form of compensation over and above the regular salary or wage. 18. The first step of the problem-solving process is to ____________. that they conduct their business. 2. CSI stands for ____________. 3. An area that a business can focus on in their CSI programme is ____________. 4. The right to vote is an example of our basic ____________. 6. ____________ is working together to achieve a common purpose. 7. The final stage of team development is ____________. 8. Extracting raw materials for further development forms part of the ____________ sector. 9. A hotel forms part of the ____________ sector. 10. A business has limited control of its ____________ environment. 12. A ____________ tends to motivate and inspire others. 14. ____________ leadership style encourages participation and empowers employees. 15. The process of ensuring products/services meet specific standards is known as ____________. 16. ____________ provide the business with resources to produce products and services. 17. The business function responsible for recruitment, selection and induction is ____________. discriminated against in the workplace. 1. ____________ is an example of compulsory insurance. 2. The ____________ is a formal market in South Africa where public companies are listed. 3. The formula used to calculate Simple Interest is: ____________. 4. The form of ownership which no longer exists in South Africa is a ____________. 5. ____________ shares are standard shares with no restrictions. 6. ____________ shares are shares in a company that is performing very well. 7. The amount a company pays out to its shareholders is known as ____________. amount Jerry will receive at the end is ____________. possessions, the form of ownership is said to have ____________ liability. 10. Which form of ownership is categorised by the letters ‘Pty (Ltd)’ as part of its name? 12. The form of ownership which is the easiest and cheapest to start and end is ____________. 13. The audio-visual aid which reflects an image onto a whiteboard is known as a ____________. 14. Insurance products that pay back money used for retirement are known as ____________. 15.____________ is a payment for an event which is guaranteed to happen. paid back on a loan. 17. The initial amount which was invested is known as the ____________. 18. An example of a non-insurable risk is ____________. 19.The program used to present a slideshow as an audio-visual aid is ____________. 20. The people responsible for managing a public company are known as ____________.